Please note our new location is in Cambridge Market at 21st and Webb Road! 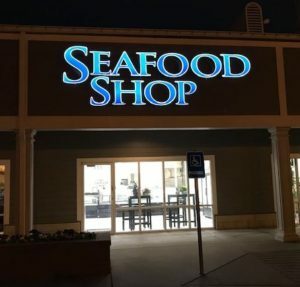 We offer high-quality fresh fish, delivered from the dock to our shop every day. Our hours are Monday-Friday 10:00 AM to 6:00 PM, and on Saturday we’re open from 10:00 AM to 5:00 PM. 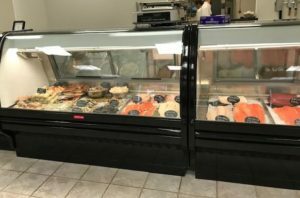 We keep a huge variety of fresh (never frozen) seafood in our case and have over 200 species of fin fish and shellfish available to order in. If you want something special, we can have it from the dock to our door in as few as 48 hours. Scottish Salmon, ocean raised, organically fed, our #1 choice, fantastic!